Ding! Dong! 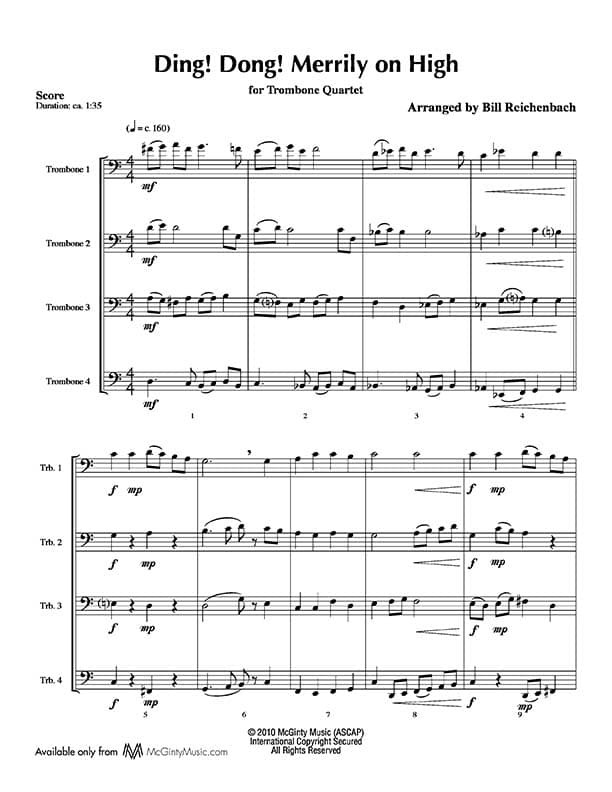 Merrily On High – Trombone Quartet | McGinty Music, LLC. The bells are ringing in this joyous arrangement. Great parts for everyone!